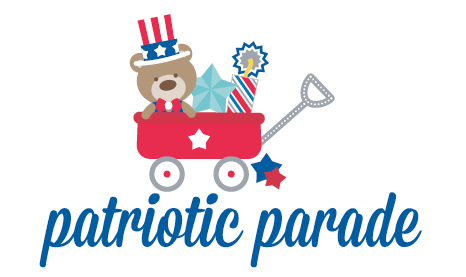 Wheel out the wagons and raise up the flag..the Patriotic Parade is coming to town! 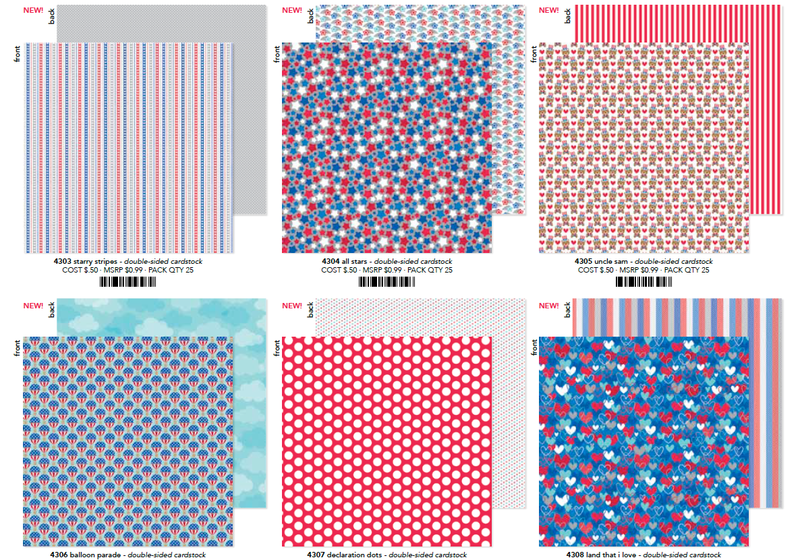 In the proud colors of red, white, and blue this simply spectacular collection is sure to set off fireworks at your next gathering or occasion. 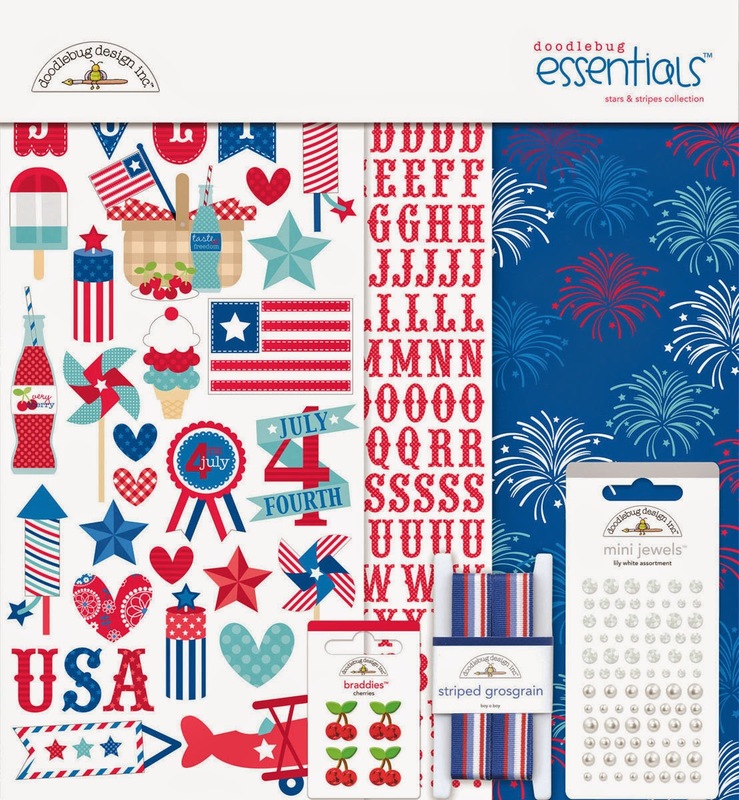 With papers, stickers & sparkly embellishments this grand ole assortment is perfect for crafting and remembering our great nation’s holiday. 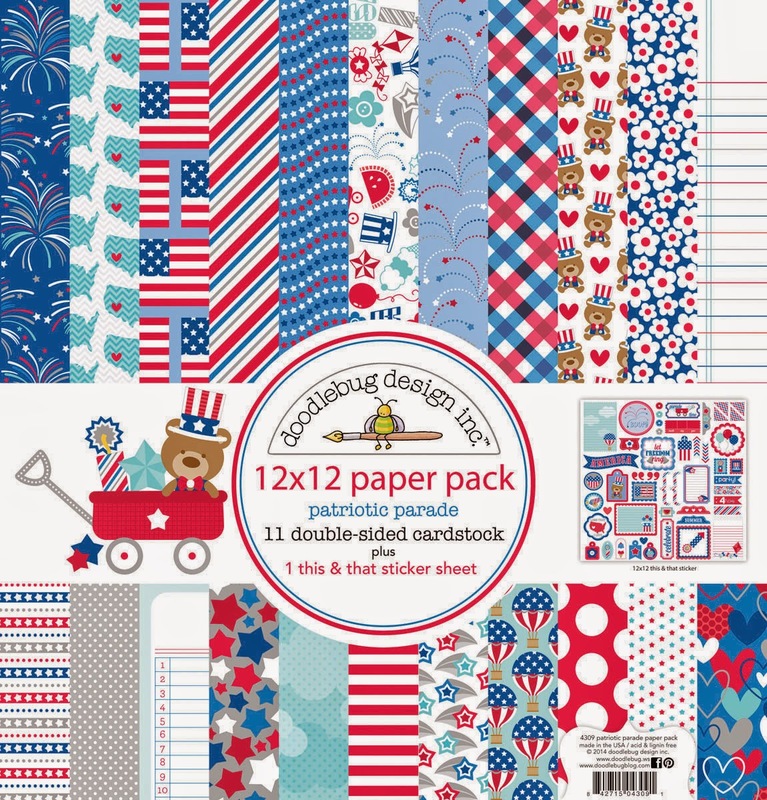 This 4th of July season, let the rockets fly and let freedom ring with Doodlebug’s Patriotic Parade. So for the next two weeks we'll be featuring this collection and you can win!! 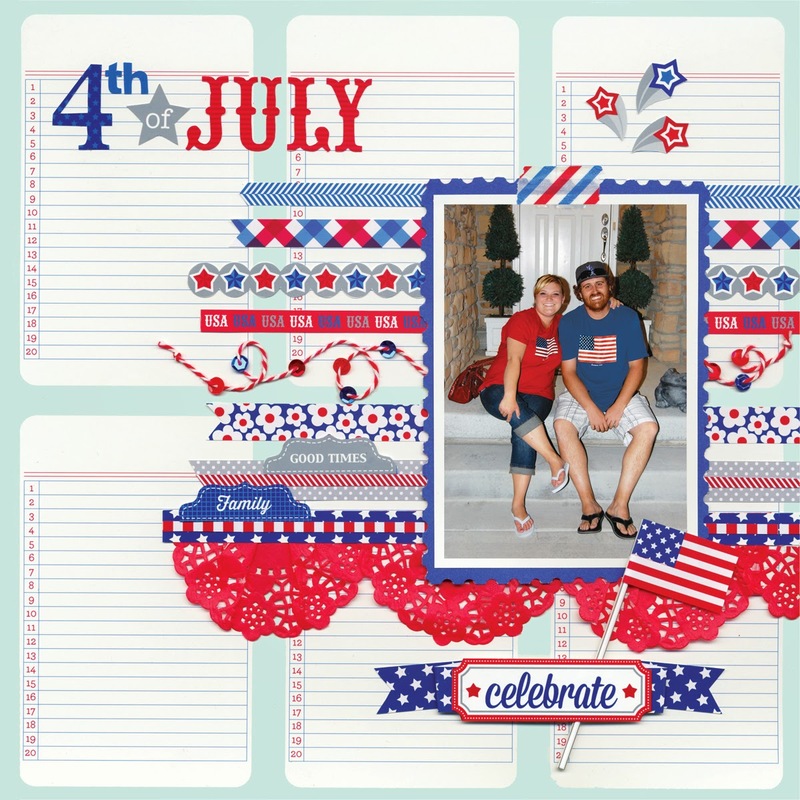 Check out these fun products and scroll to the end of the post to see how you can enter to win the new Patriotic Parade Collection products! We are giving away some amazing boxes filled with an assortment of our new Patriotic Parade Collection SIX lucky winners. We are going to be looking throughout the next couple of weeks as we feature this new collection. You can continue to support us each day and complete any or all of the following. The more you enter the more chances you have to win!! You will have until Saturday, May 31st at 12:00 noon MST to enter. We'll post the winner on Monday, 6/2. Good luck!! SO SWEET of you to celebrate my birthday with such a FABULOUS layout and collection!!! Looks like we are in for an EXCITING couple of weeks and I am sure there will be some AWESOME surprises in how this collection can be used too!!! Wow! too cute! 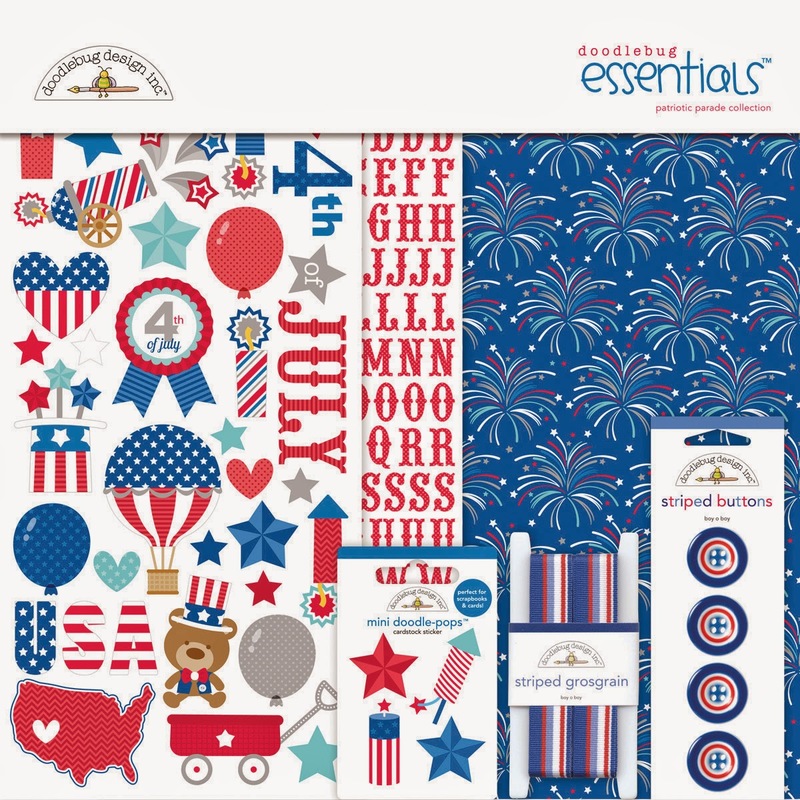 Look all the products to make beautiful Fourth the July layouts and crafts!!! I going to start adding to my wish list!!! Love your blog,this collection is great!. Love 4th of July products. I seriously neeeeeeeeeed ALLLLLLLL of these!! I am workin' on some Memorial Day cards for the Meals~on~Wheels seniors.. and have some R,W, & B, but not like these fun and gorgeous colors and patterned papers.. Thanks for the GIVE~AWAY~~ I appreciate it!!! L.r. Smith from fb pg. Wow, what a wonderful collection. I love the pinwheels and sequins. Awesome collection! Shared on FB! I liked and shared on Facebook. I just love this collection! I Pinned the pic of the 12x12 cardstock - my favourites are "starry stripes", "all stars" and "land that I love" - DOUBLE SIDED AWESOMENESS!!! 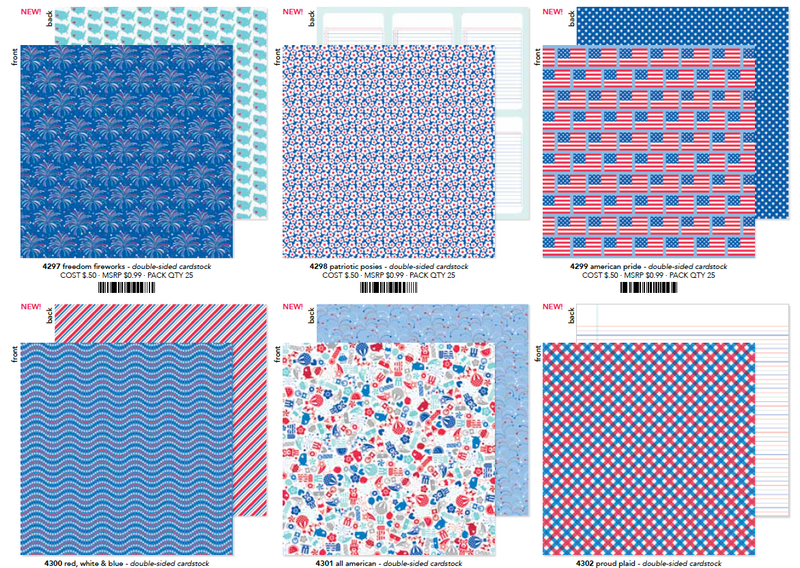 I Pinned the pic of the 12x12 cardstock - my favourites are "Patriotic Posies", "red, white & blue" and "proud plaid" - MORE DOUBLE SIDED AWESOMENESS!!! 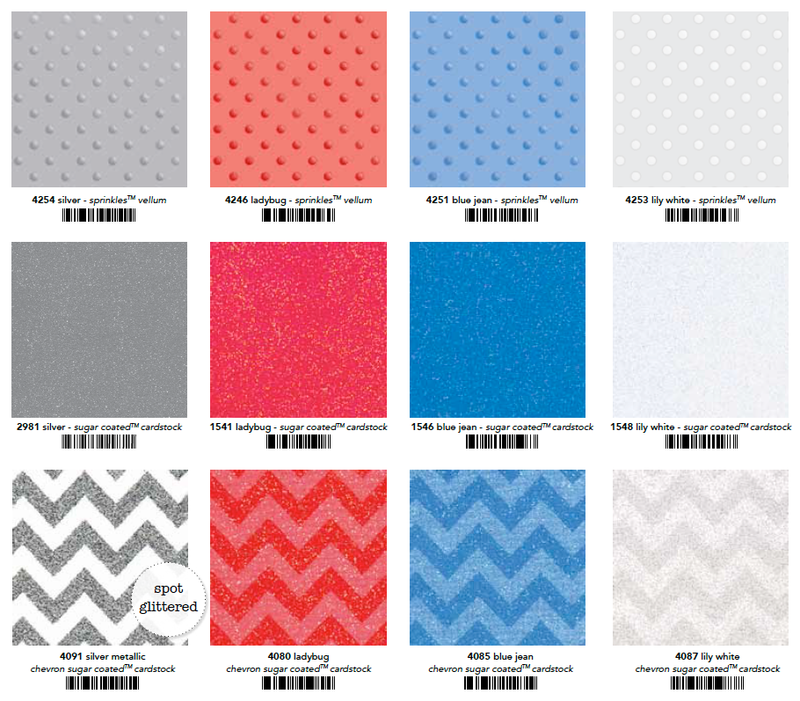 I Pinned the pic of the NEW Sprinkles vellum, NEW Sugar Coated cardstock and NEW Chevron Sugar Coated Cardstock - SO GLAD that they ALL come in "silver", "ladybug", "blue jean" and "lily white" to match the papers - WOW - GORGEOUS!!! 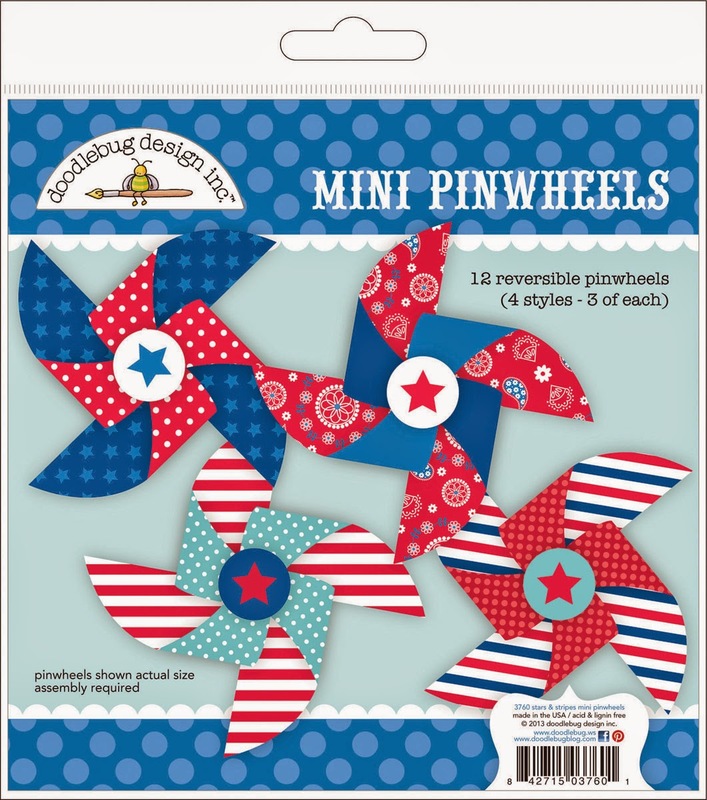 I Pinned the pic of the fun pinwheels - SO COOL that there are 12 in the pack with 3 of each of the 4 reversible designs - SO CUTE & FUN!!! Forth of July is one of the harder holidays for me to scrap. I think it's because it's limited on the color selection. And I don't have a lot of that combo. This is a great set. Looking forward to a great week. I hope you will pick from these comments too! 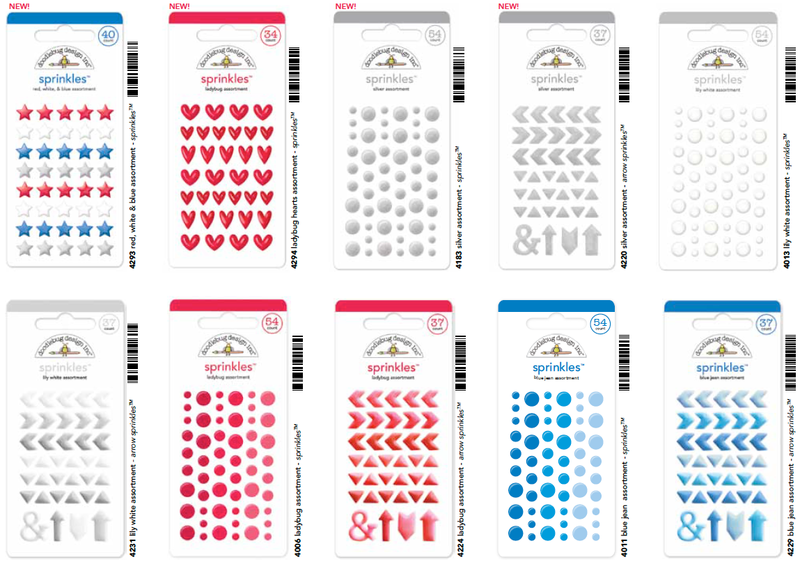 I love these papers, the stickers, the sprinkles (oh those hearts are so cute). Great collection, amazing! Thanks for sharing. So awesome! I love everything Americana. Shared this great collections on FB! This is so adorable! I love the colors and the embellishments - really love the sequins!!! 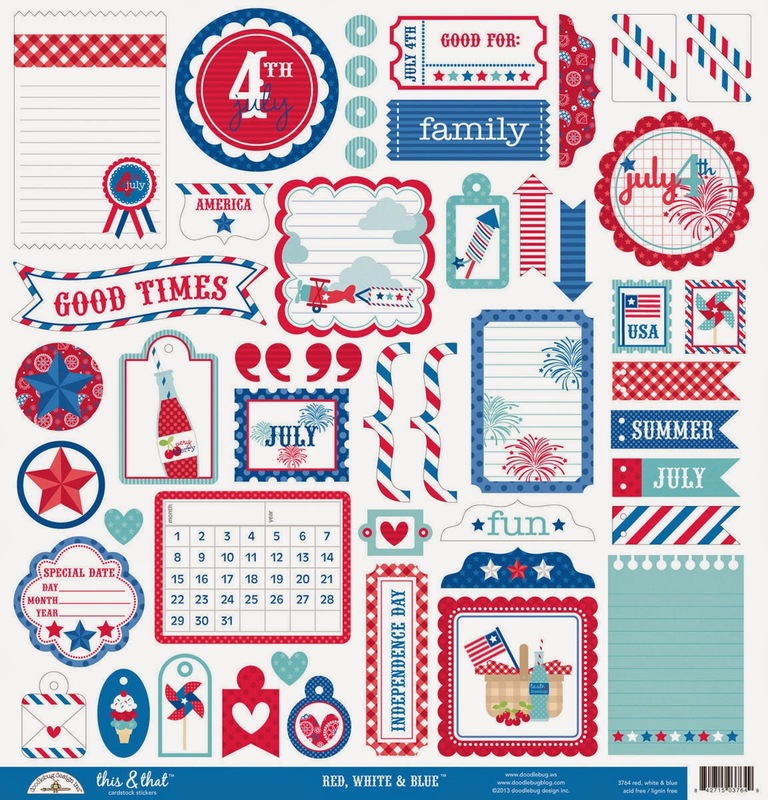 This collection of patriotic papers is a must have!! They are just the right blues and reds that I love to work with!